I visited my sister-in-law and her sweet new baby boy recently. Oh, I remember those first weeks of new motherhood like they were yesterday! All those feelings of foggy bliss, pure love, overwhelming raw emotion - wrapped up in one little package. We talked about how being a mama is the hardest thing we've ever done. I saw her lovingly fret over her baby - Is he too cold? Did he nurse long enough? Why does he hate diaper changes so much? - and I saw myself not so long ago. Time is an unusually fast teacher when you're a parent. But then just as you begin to feel a bit more comfortable and think you've got some things figured out, everything changes! The learning curve is steep, to be sure. When you're a new mommy, consumed so completely by caring for someone else, sometimes what you need most is food that can be eaten with one hand. I remember that part well, too (probably because I live it some days still!) And so I brought with me some muffins, hoping they would come in handy as a late night (one-handed) snack. 1. Mix together flour, sugar, baking powder, cinnamon, and salt. 2. In a separate bowl, beat together the butter, milk, and egg. 3. Add the wet ingredients to the dry, and combine by folding the batter. Don't over-mix. The batter will be lumpy. 4. Fold in the zest and blueberries. 4. Generously butter your muffin tin, and spoon in the batter. Each compartment should be about 2/3 full. 5. Bake in a 400 degree F oven for about 25 minutes. 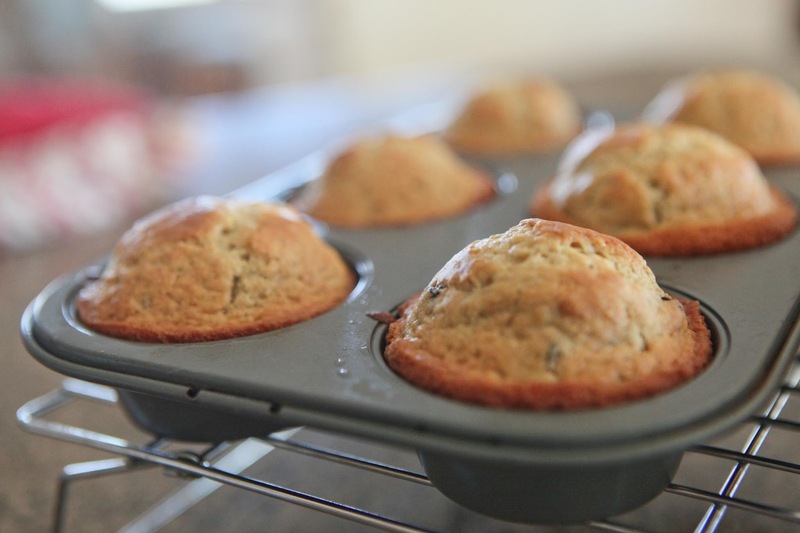 Let cool for 5 minutes before removing muffins from the tin. Long, long time since I was a new mother, but I can still appreciate all the sweet emotions you wrote about. And the recipe for blueberry muffins too! What joy...a new baby :) I remember those days when all I had was one hand, lol! but it is something that you learn as the babies come. When I had my first, I ate an entire bag of mini peppermint patties the first night. With the second, I came prepared with healthier snacks. Labor, nursing, etc, takes a lot out of you. 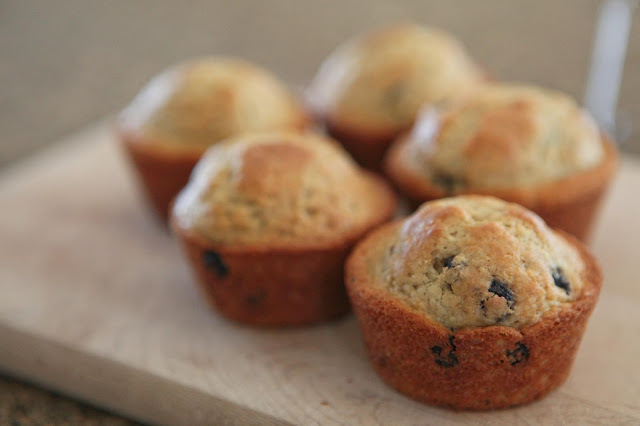 Blueberry muffins seem like the perfect nursing treat. Oh yes... new motherhood rocks you to the core.... such a lovely gesture - those muffins will be devoured for certain! It was a long time ago when I was a mother for the first time. What you wrote today made me remember the anxiety that came with the first few weeks of motherhood. You are such a good mom....and your blueberry muffins look yummy. Thank you, Meggie, for your kind words as always! Blueberry muffins and baby toes...two of my favorite things :-) Thanks for the yummy recipe, Jaime! I got me a little dose of newborn cuddles today...so sweet, the memories came flooding back. Awwh!!! 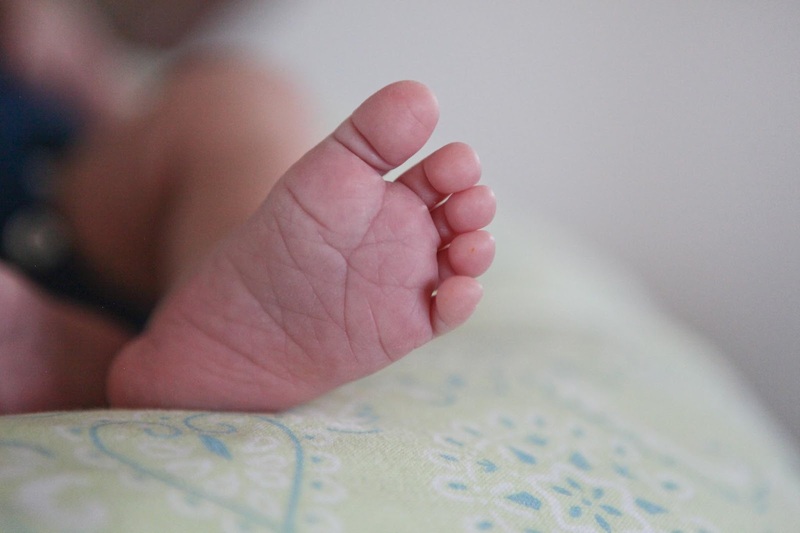 The litte feet, the babie`s litte feet... sooo cute!!! just found you via longest acres. i love your blog and can't wait to follow along in your farming adventures. Your recipe sounds great, I have written it down!! It hit me the other day that my baby isn't a baby anymore. I about cried, but I certainly remember all those insecurities we when first brought Corrine home from the NICU. I was scared to death to parent on my own. Mmm...these look so good! David loves blueberry muffins, so I'll give these a try. Welcome to that new baby!